It was a real good news/bad news situation at the offices of Turner Network Television today, with one group of shows being ushered into a room full of cakes and balloons while a second group of shows was taken down to the basement and summarily executed. That may sound a little dramatic, but this is TNT we’re talking about. It knows drama. First up is the positive news, which will make everyone feel good before the negative news brings us down. According to Deadline, TNT has officially renewed The Librarians, Murder In The First, and Major Crimes for new seasons. 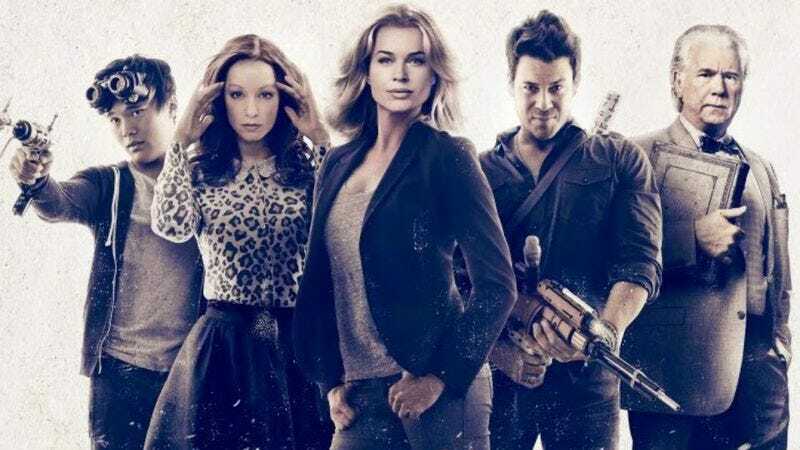 This will make three seasons for The Librarians and Murder In The First, which are a spinoff of the Noah Wyle-starring made-for-TV movie series and a crime drama (respectively), and five seasons for Closer spinoff Major Crimes. Down in the basement, where the flies are beginning to gather, TNT has stashed the bodies of Agent X, Public Morals, and Legends, all of which have now been canceled. That comes from a second Deadline report, probably because nobody wanted to associate those thriving shows up above with loser shows like these. Agent X starred Sharon Stone and got pretty good ratings despite negative reviews, Public Morals was a police drama that TNT dumped to on-demand services as an experiment, and Legends was a spy thriller starring Sean Bean. On a positive note, at least this technically means that his character didn’t get killed off for once.